Apple Maps in CarPlay has become much more functional since the iOS 9.3 update which was released a few days back. With the addition of the 'Nearby' feature, among other things, Apple Maps has closed the gap between itself and Google Maps a bit but still lags behind nonetheless. Google added its own version of POI search called "search along route" a while ago to its Maps application for both iOS and Android. I know most people either have an Android or iPhone, which means you are either limited to Google Maps or Apple Maps depending on your smartphone ecosystem when it comes to use your car's dashboard via Android Auto or Apple CarPlay. But for the few, like myself, who have access to both platforms in the car, I have to say I still prefer Google Maps in Android Auto over Apple Maps in CarPlay. I sometimes even prefer using Google Maps on my iPhone which is mounted on my dashboard while driving. Google's search feature in Maps works great. When getting directions to a certain place, you can add a detour to your route. I absolutely love this feature and it comes in handy when its time to get gas or stop for some grub on your way. Apple stepped up its Maps game recently though, with the iOS 9.3 update. The new "Nearby" feature is available in CarPlay now. With Nearby, you can quickly find places of interest like Restaurants, Parking, Gas Stations, Coffee Shops and Grocery Stores right from CarPlay. Nearby works really well and even gives you ratings for business in search pulled from Yelp. Estimated time of travel is also available in search so you can easily find the place nearest to you. Apple has also managed to squash some bugs and include general improvements to Maps in iOS 9.3. This includes improvements to the way Siri works. 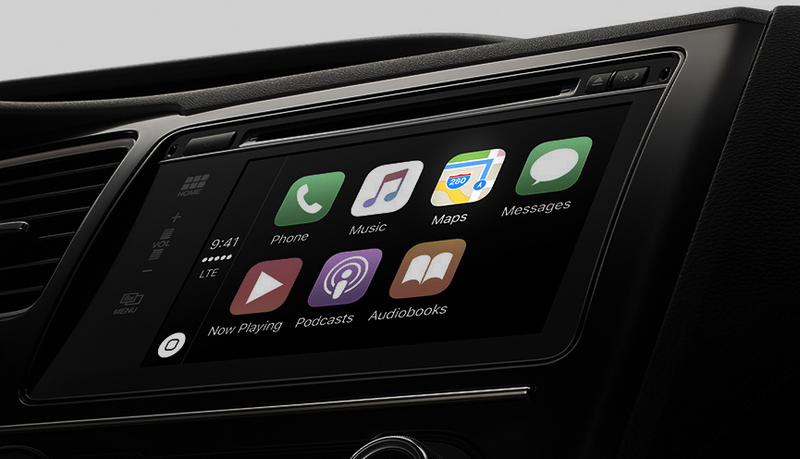 If you're an Apple CarPlay user, you will find the new Nearby feature really useful. But Google Maps is still my go to navigation app these days and it has been for a while now. Apple Maps has no detour feature like Google Maps. 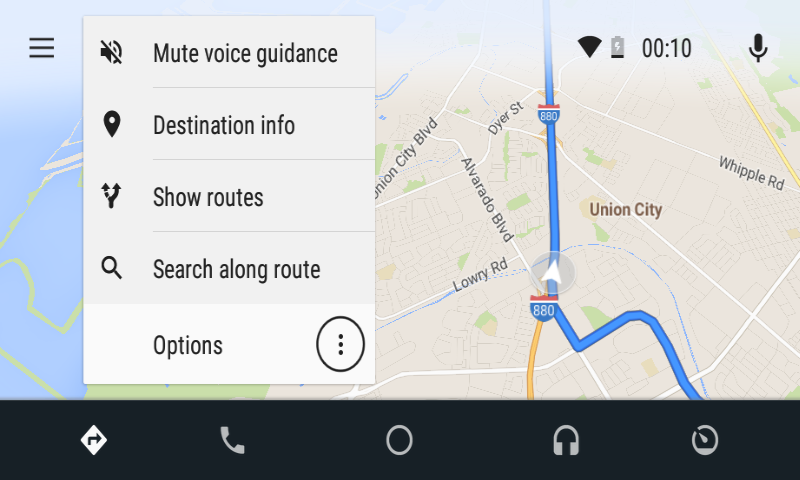 The other feature that helps Google Maps win over its Apple counterpart is lane guidance. If you're new to an area you will really appreciate lane guidance in Google Maps. With lane guidance, Google tells you exactly which lane to take on a multi-lane freeway, for example, to make the appropriate exit. I have also found Google's traffic estimates to be more accurate at times. And last but not least (although this may not always apply to a dashboard situation), is the integration of ride-sharing service information like Uber in Google Maps. Google's latest update allows users to get ride-sharing info without opening those individual apps. 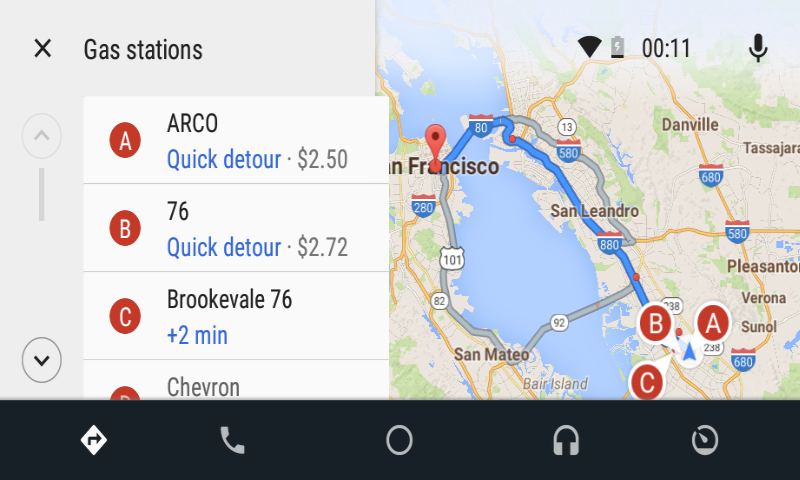 You can get fare estimates and wait times right in Google Maps. Winner! What navigation app do you use most frequently in your car?